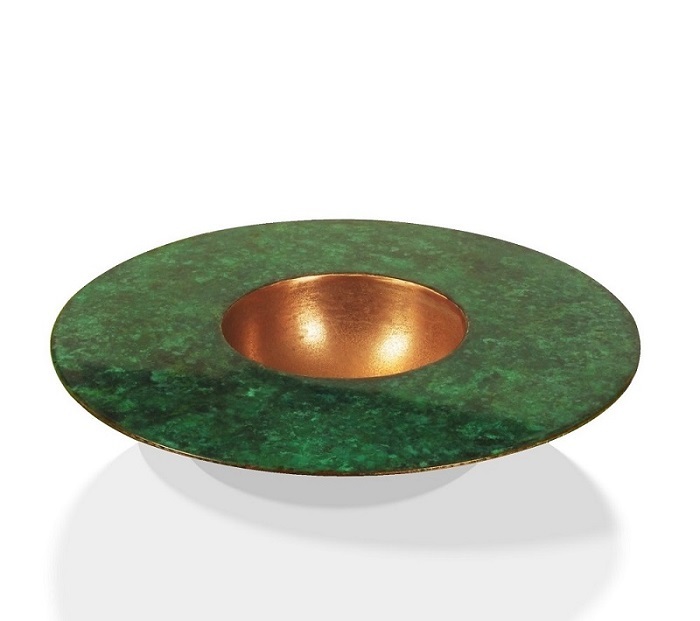 Decorative bowls with a beautiful verdigris and bronze finish. This contemporary bowl features a highly polished broad lip with a glass-like shine. 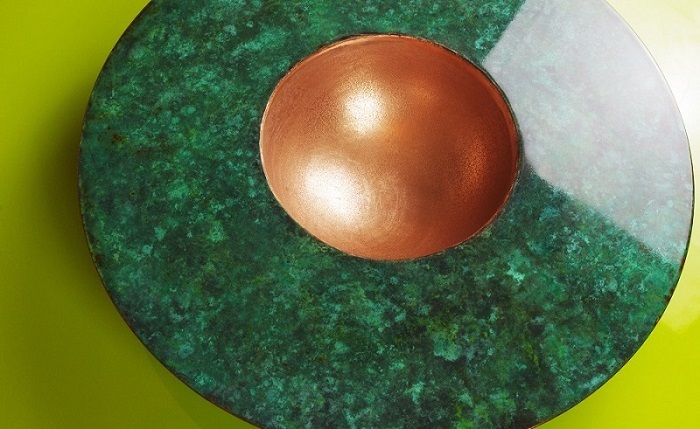 The central dish has a polished bright bronze finish. Handmade from stainless steel then finished with our own specialist real metal finishes. 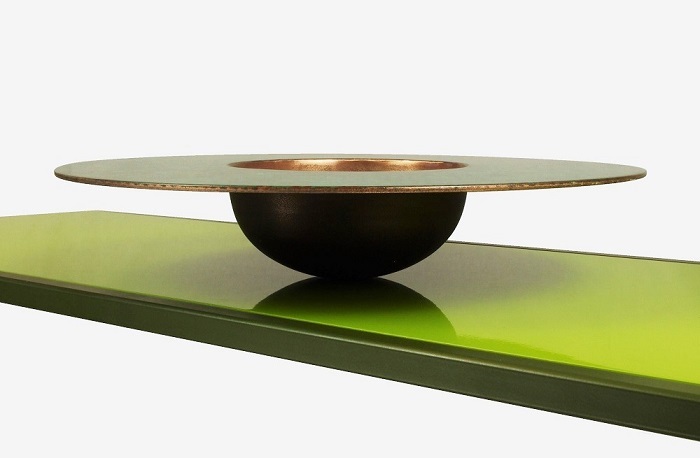 A great centre piece for dining or feature tables. 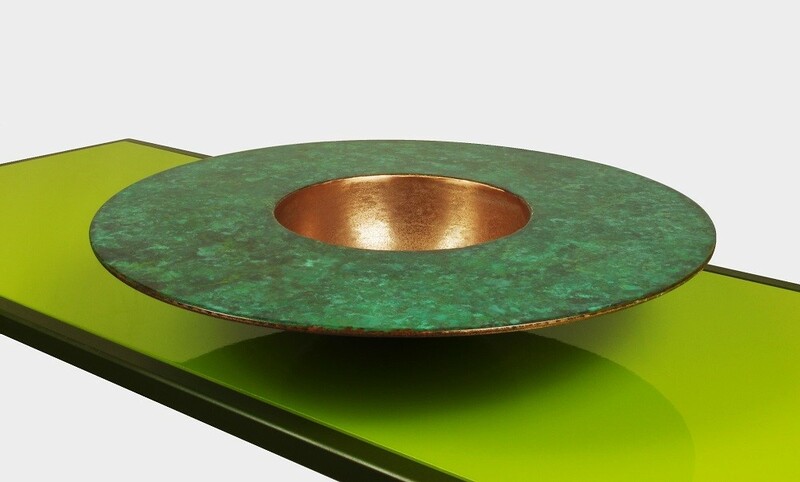 Stainless steel with bronze and verdigris finish applied. Dust regularly and only if necessary, wipe clean with a damp cloth, buff after with a dry cloth. Free delivery within the Uckfield delivery area (up to 20 mile radius).